William Dall’s diary entry for January 1, 1866. Smithsonian Institution Archives, Record Unit 7073, Image No. SIA2014-05807. It is not uncommon for scientists who work in the field to be abroad during the change from one year to another. However, the ways in which New Year’s Day has been celebrated and recorded in field notes differs greatly from one scientist to the next. For William Dall, 1866 started in San Francisco with visits to multiple colleagues before returning to the ship for dinner. He spent the remainder of the evening aboard examining shells. Just two years later, Dall celebrated the New Year in Alaska in an entirely different fashion. 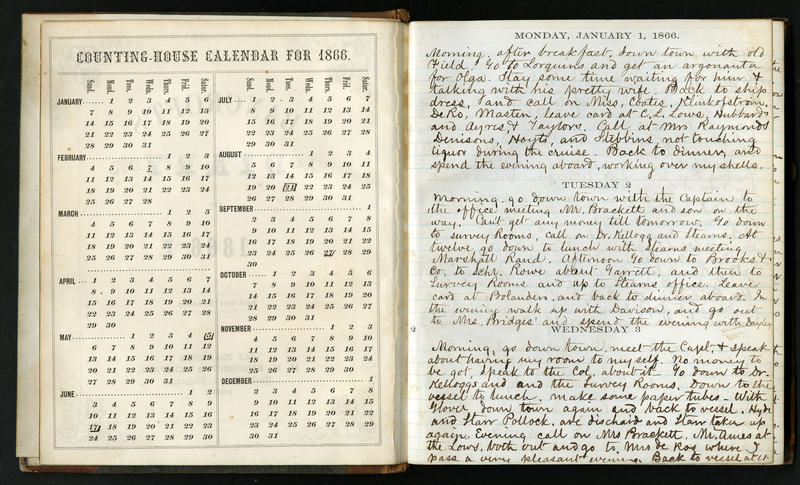 In his diary entry from January 1, 1868, he noted that it was “very cold,” with the temperature being -30 degrees. Dinner consisted of soup, stewed deer meat, cranberry pie, black bread, and tea. Dall opted to “do nothing, in honor of the day,” but planned to take stock of the remaining sugar, tea, and flour the next day. William Dall’s diary entry for January 1, 1868. Smithsonian Institution Archives, Record Unit 7073, Image No. SIA2015-009732. Not all scientists take a break to observe the changing calendar. 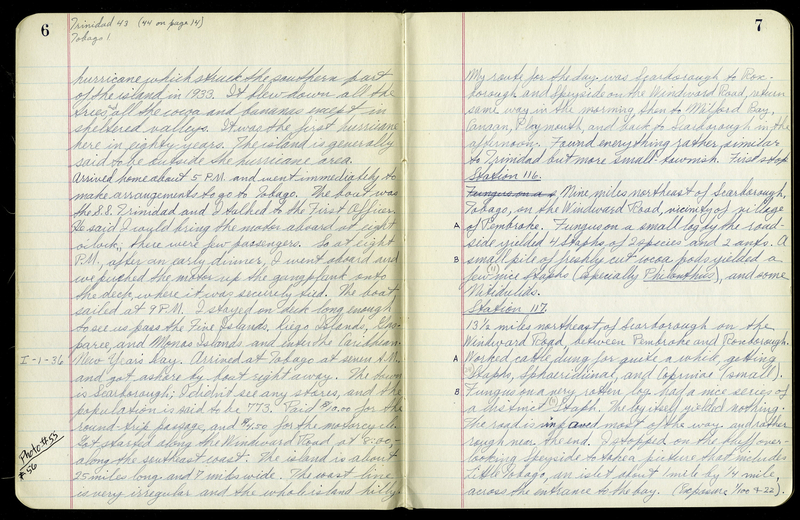 Edmund Heller spent January 1, 1917 traveling from one part of China to another, but did celebrate with “a dinner of roast duck and Chinese wine and orange cocktails.” In 1936, Richard Blackwelder spent January 1 traveling around the island of Tobago collecting insects, while his wife, Ruth Blackwelder, stayed behind in Trinidad. She spent her day exploring the botanical gardens before attending a dinner party in the evening. 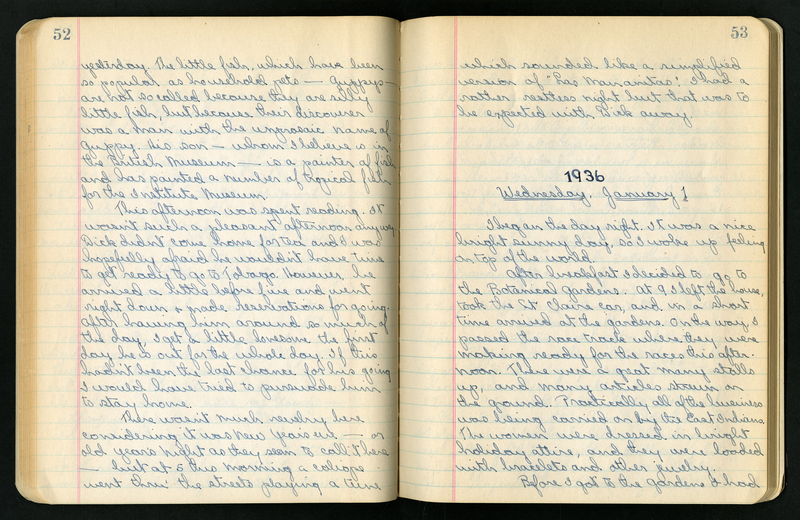 Richard Blackwelder’s diary entry for January 1, 1936. Smithsonian Institution Archives., Accession 96-099, Image No. SIA2014-04220. 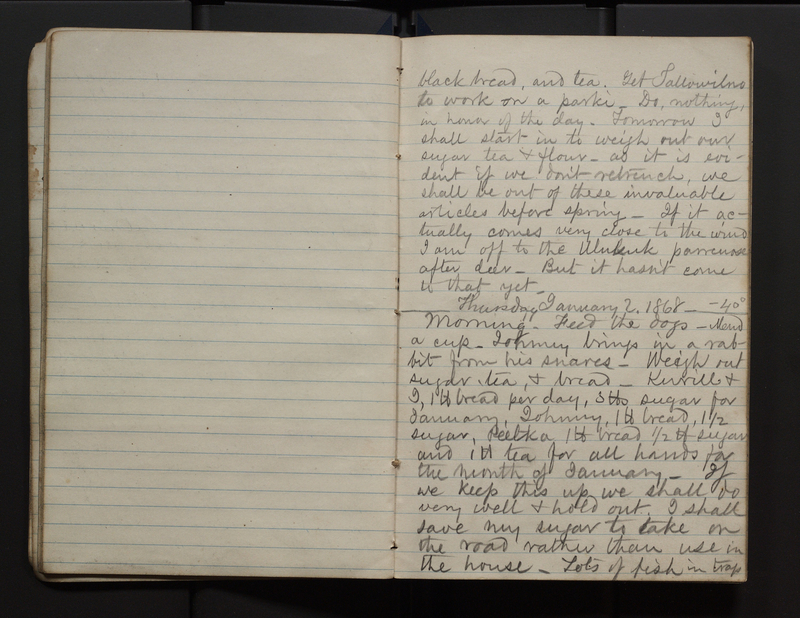 Ruth Blackwelder’s diary entry for January 1, 1936. Smithsonian Institution Archives, Accession 96-099, Image No. SIA2014-04683. For some, the holiday presented a good opportunity for sightseeing. In 1963, Doris Cochran and Doris Holmes Blake took a break from collecting in the city of Sao Paulo to take a day trip to Santos. While there, they enjoyed lunch at the Atlantico Hotel, did some sightseeing around the city, and took lots of photographs before returning to Sao Paulo for the evening. However you chose to spend New Year’s Day, I hope it was enjoyable!